The world is on the verge of World War 3 as political leaders from Syria, Russia, the US and UK head on a collision course. A week of Twitter threats and political posturing ended when US, UK and French forces launched “precision missile strikes” on Syrian chemical weapons facilities on Saturday evening. In a televised address from the White House, Trump said the strikes were in response to the alleged chemical weapons attack in the town of Douma last Saturday. Trump said: “These are not the actions of a man. They are crimes of a monster instead. The President had previously threatened military strikes via Twitter, warning Russia to “get ready” for missiles to be launched at Syria. Vladimir Putin had previously stated that Russia would be prepared to respond in full to any attacks on its allies, but the world is still waiting for Russia to retaliate. Where did the missile strikes hit? An announcement from Washington was made at 2am on Sunday, stating that a military operation had launched. 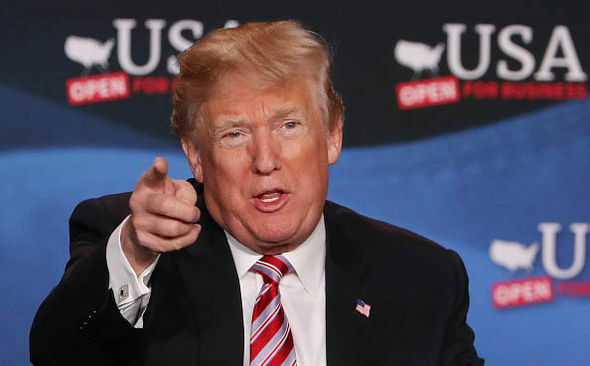 Donald Trump said: “Precision strikes have been ordered on chemical weapons sites in Syria and attack is underway with UK and France. He added that the attacks would be sustained till Syrians stop using chemical weapons. 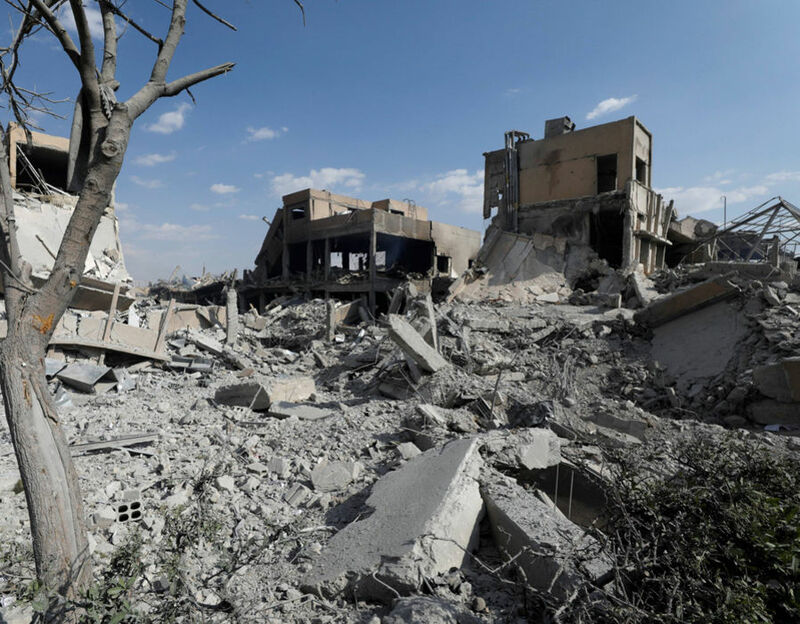 The missiles were intended to take out Syria’s chemical weapon development facilities, but conflicting reports on their success suggest there was little damage made by the strikes. CNBC reported that the missiles had little to no effect, causing no military casualties and failing to inflict any meaningful damage to the military infrastructure. 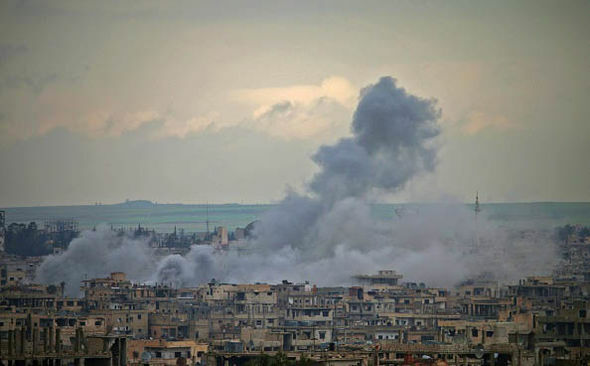 Experts suggest that this strike was no different from any previous strike the West has exacted on Syria, only this time, blame was okayed firmly at the door of Russia. Tensions have been rising between Putin and Trump, with both leaders suggesting full missile operations and counter-strikes could be imminent. Accusations of Russian intervention and a direct order from Syrian President Bashar al-Assad prompted the West to put on a united front. The US is also reportedly set to announce further sanctions on Russian exports. 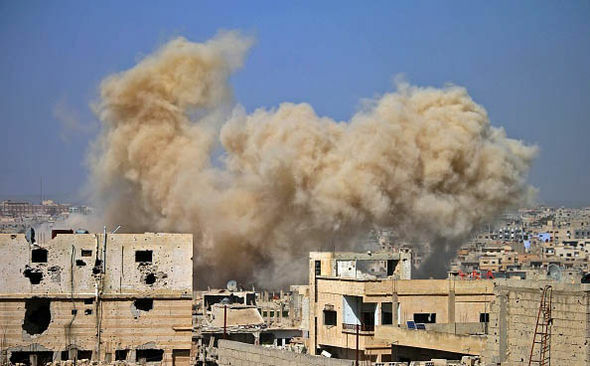 Syria news: Will Russia respond to Western missile strikes? 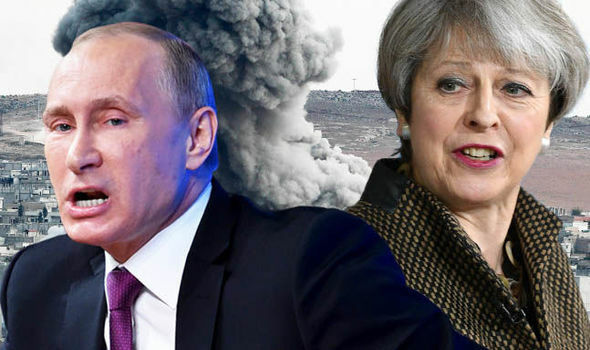 Will Putin bomb the UK? Will Putin respond to the missile strikes? The world is still waiting for Russia’s reaction to Sunday’s missile strike. “Despite the threats from Russia’s ambassador to Lebanon Alexander Zasypkin that Russia would target the platforms from which the missiles were fired, Moscow is fully aware that such an attack would not only constitute a massive and dangerous escalation,” Daragh Mcdowell, principle Russia analyst at Verisk Maplecroft, said in a note to CNBC on Sunday. 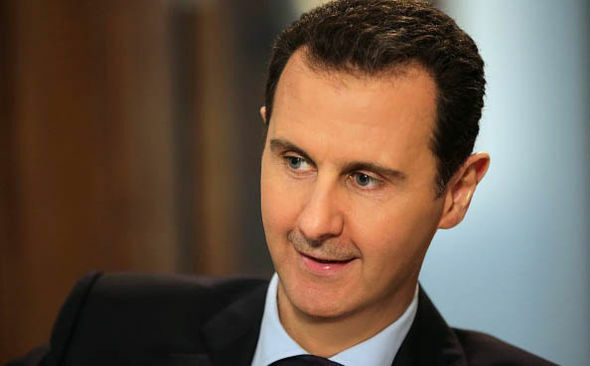 “Because the strikes did not hit Russian assets, and do not appear to have significantly undermined the Assad regime, there is no material reason to go further than that. Nevertheless, the poor state of East-West relations overall, and displeasure in the Kremlin with the strike may push Russia to seek asymmetrical means of retaliation. These kinds of actions are difficult to predict by their very nature, and Russia is unlikely to telegraph its intentions,” he said. Prime Minister Theresa May has had to defend her actions to coordinate with US and French military to bomb Syria. 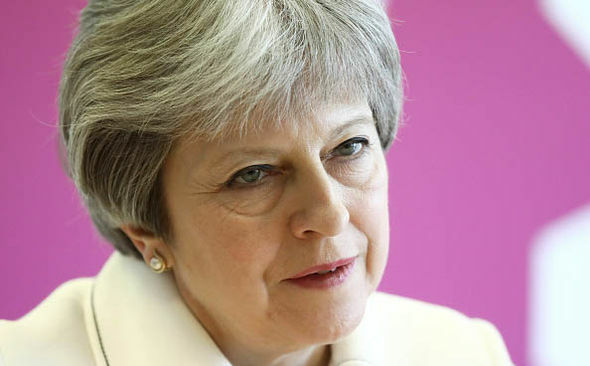 The Prime Minister defied suggestions that she was simply following Trump’s orders, saying the strikes were essential. In a statement released by Mrs May shortly after Trump’s address, she said there was “no practicable alternative to the use of force” to deter the use of chemical weapons by the Syrian regime. Adding that every possible diplomatic channel had been sought before the decision to launch targeted strikes had been taken. Labour leader Jeremy Corbyn called the strikes “legally questionable” in a letter to Mrs May. Speaking in Downing Street, Mrs May said the “limited and targeted strikes” had degraded Syria’s ability to use chemical weapons. “This collective action sends a clear message that the international community will not stand by and tolerate the use of chemical weapons,” she said. French President Emmanuel Macron, claims he was the one to convince Mr Trump to stay in Syria before the strikes hit. “Ten days ago, President Trump said the USA’s will is to disengage from Syria. 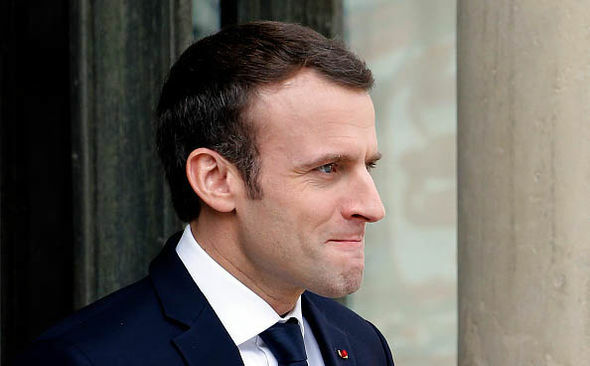 We convinced him that it was necessary to stay,” Macron said, during a two-hour televised interview with several French media outlets.